Clients wishing to place their banner ads on the Google Display Network, often ask about which banner sizes they should opt for. Half page: 300 x 600. Inline rectangle: 300 x 250. 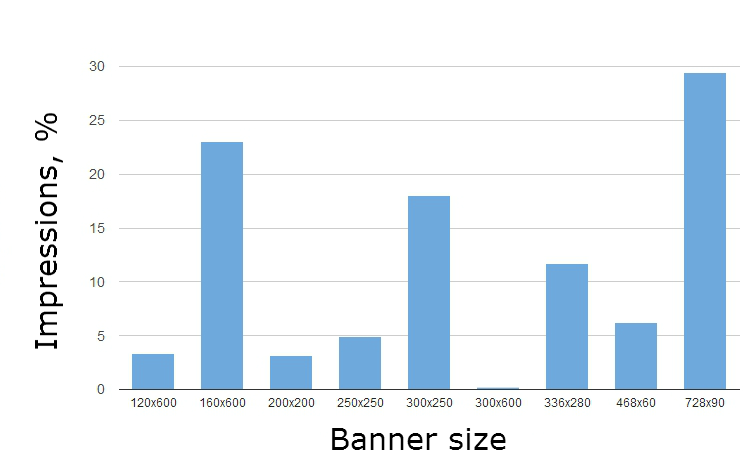 We hope that these statistics will help you to choose the best banner ad size on the Google Display Network. We can’t disclose the project domain whose data was used in our research (NDA). In fact, we recommend trying all the possible options for maximum coverage, but there may be various reasons for clients to fail to do this. Awesome. Basic and very informative. Thanks George.